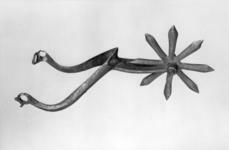 Metal spurs have been used by mounted soldiers for millenia, and were used by both the Ancient Romans and the Celts. 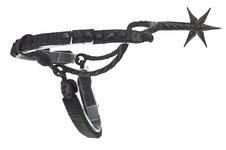 They became an essential piece of equestrian equipment in early medieval Europe. 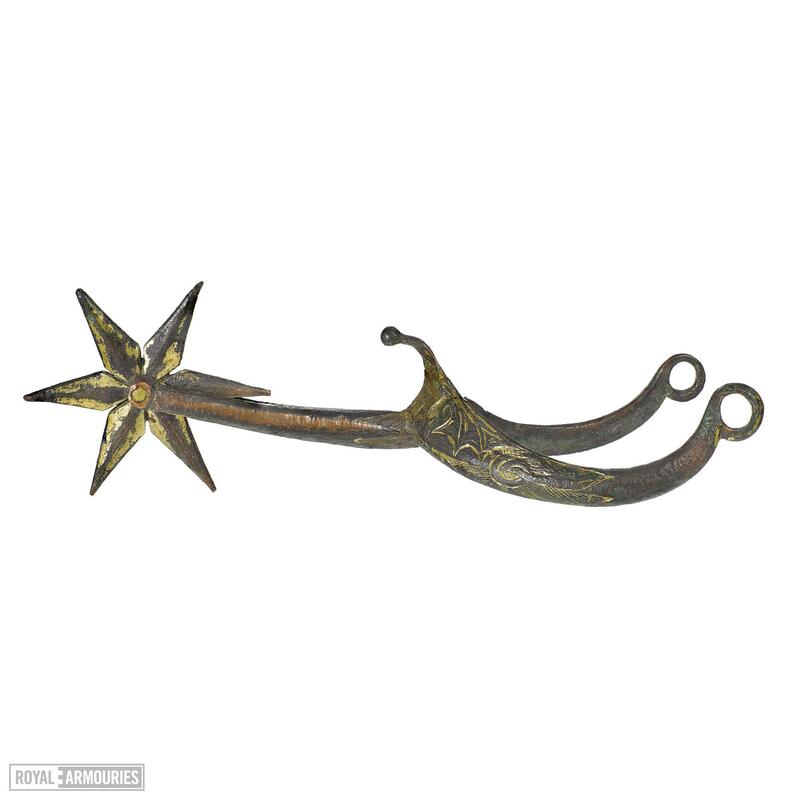 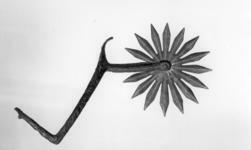 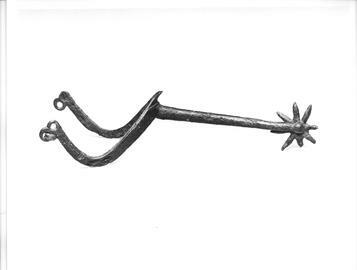 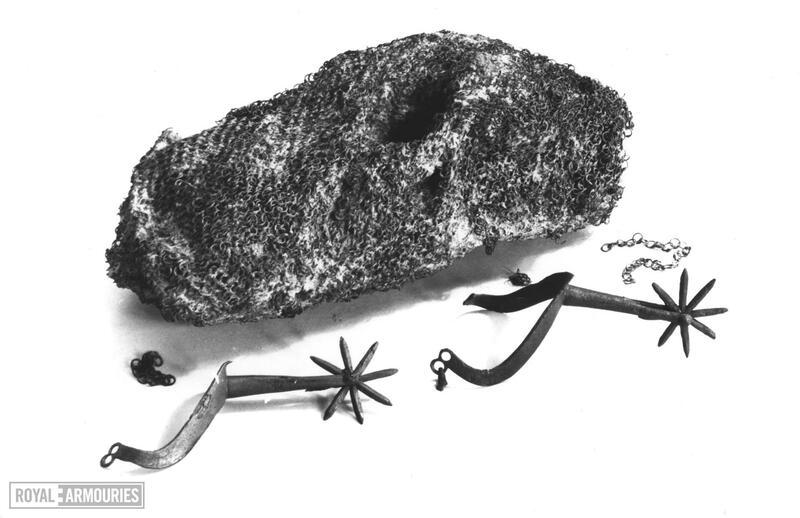 Prick spurs, with single-pointed tips (goads), were used from the Roman period and throughout the early Middle Ages. 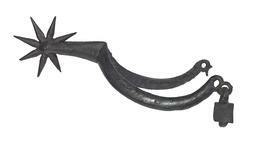 Later examples were forged with conical points, which often had mouldings to prevent excessive penetration of the horse's flesh. 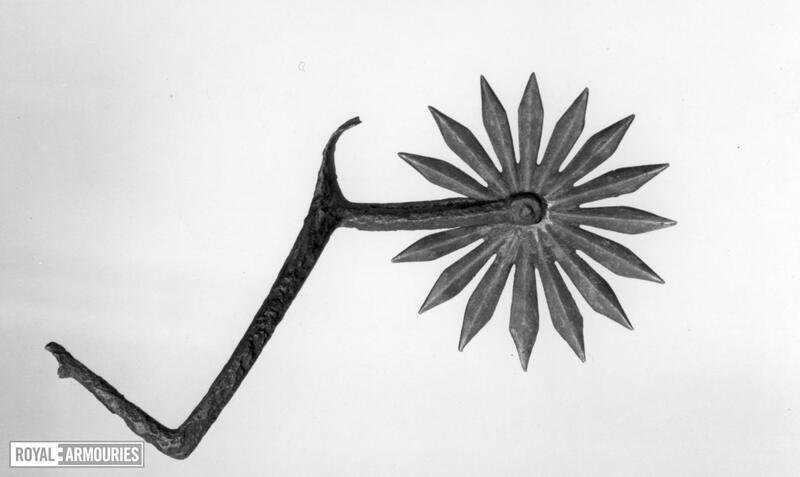 From the late-13th century spurs appeared with rotating pointed wheels called rowels fitted at the end of their necks. 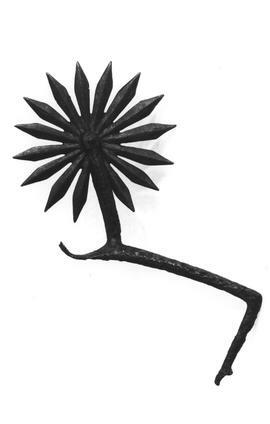 These had mostly superseded prick spurs by about 1340. The sides of these spurs were usually curved to fit beneath the anklebone, and the size of their rowels varied with fashion. 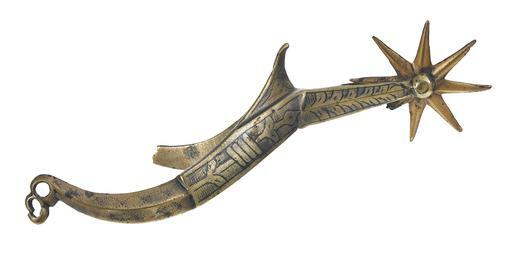 Another fashionable feature that appeared in the 14th century was the prow-shaped crest, often with a curled finial at the junction of the sides and neck. Spurs were attached to the heel of the rider's shoe or boot by leather straps and became a defining piece of equestrian equipment. 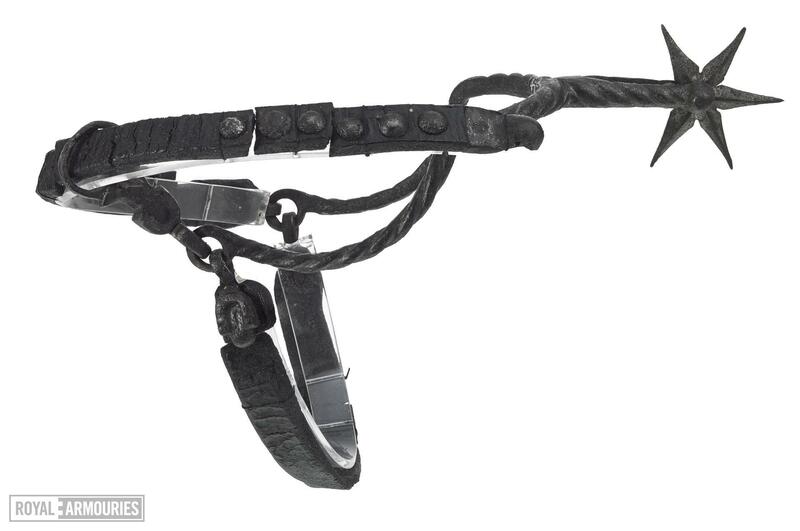 They not only helped the rider exert control over the horse, but also became a status symbol, and as such were often decorated. 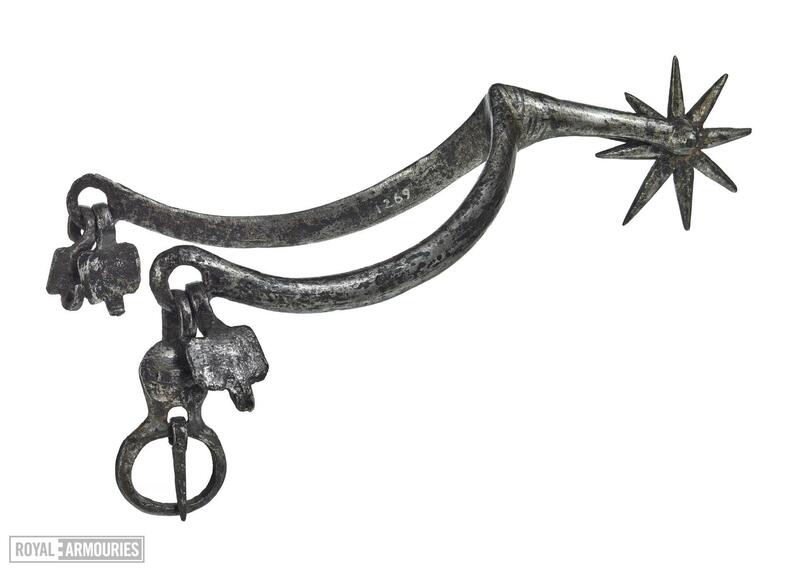 Because knights typically fought on horseback, spurs became symbolic of knighthood. 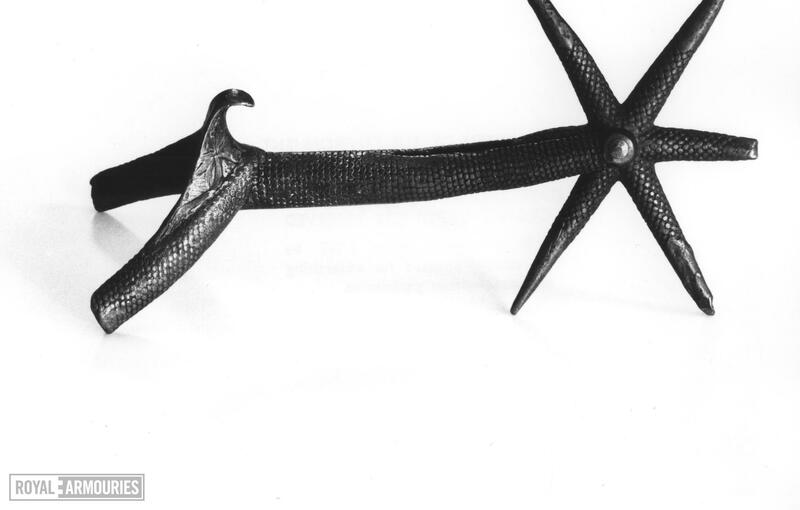 In many ceremonies of knighthood, strapping spurs on a newly dubbed knight was an important act, together with the girding of the sword and sword belt. The Battle of Courtrai in 1302 resulted in the death or capture of over 200 French knights by the victorious Flemings. 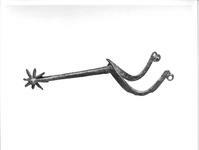 Their spurs were hacked off the knights and were suspended from the ceiling of a chapel in the Church of our Lady at Courtrai, and the battle became known as the 'the Battle of the Golden Spurs'. 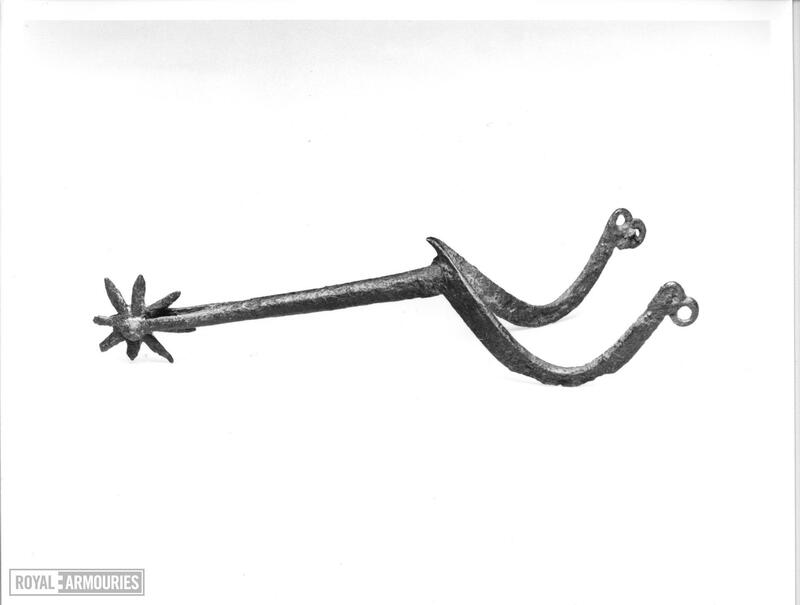 This infamy was never forgotten and the spurs, a powerful symbol of knightly chivalry, were taken back to France after the French defeated the Flemish forces at Rosebeke in 1382.